Ski chalets AT Samoëns and Sixt Fer A Cheval, IN THE FRENCH ALPS. Two tastes of the alps. Welcome to The Lodges at Samoëns and Sixt Fer a Cheval, France – two rental properties for people who thrive on the thrills and textures of the Alps. One spacious five bedroom house; the other subdivided into apartments perfectly suited for skiiers and snowboarders. As pillars of the legendary Grand Massif region, Samoëns and Sixt themselves blend the best of real mountain life: ice-shrouded village squares, sun-drenched valleys, soaring peaks, and perhaps the best snowsports in France. The tourist board’s motto translates to “let yourself be surprised,” and almost everyone who comes here is. 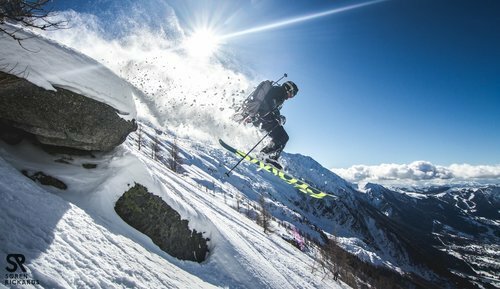 They find world-class ski routes that descend to world-recognised heritage sites. They chart the tracks of 13th century masons, and stumble upon little luxuries – an interior design atelier, beautiful botanical garden, or just a well-timed vin chaud. And while the “Mont Blanc effect” has a strict meteorological meaning – great powder that lasts – for those who call the mountains home, it’s about something else entirely. The silent settle of snow on the chapel roofs, the breath-capturing views from the top of the Criou, or the way restaurants that are quaint and cosy in winter spill out and come alive on the summer streets. The Lodges are products of their place. Whether you’re seeking a festive family retreat, or to rip up the slopes with friends, we offer two distinct tastes of the real Alpine life. Find out more about each property below, or scroll even further to explore life in the Grand Massif. Cosy first; chic a close second. Always captivating. Discover the essence of the Alps. From heritage to hot chocolate, Samoëns blends the best of mountain life with a world-class, family-friendly ski resort. Affordable access to the unspoilt wilderness, and a footprint on the frontier for hikers, bikers, and history-seekers. A hidden gem, away from the seasonal crowds. An authentic take on real Alpine life. What to do in-season and out. Ski, or be surprised by a change of pace when the Grand Massif turns green in summer. Authentic home cooking. Award-winning pastries. Fondue overlooking fresh powder. Our picks from the best of Savoyard cuisine. Closer than you think: our recommendations for travelling to two of the Alps’ best-kept secrets.